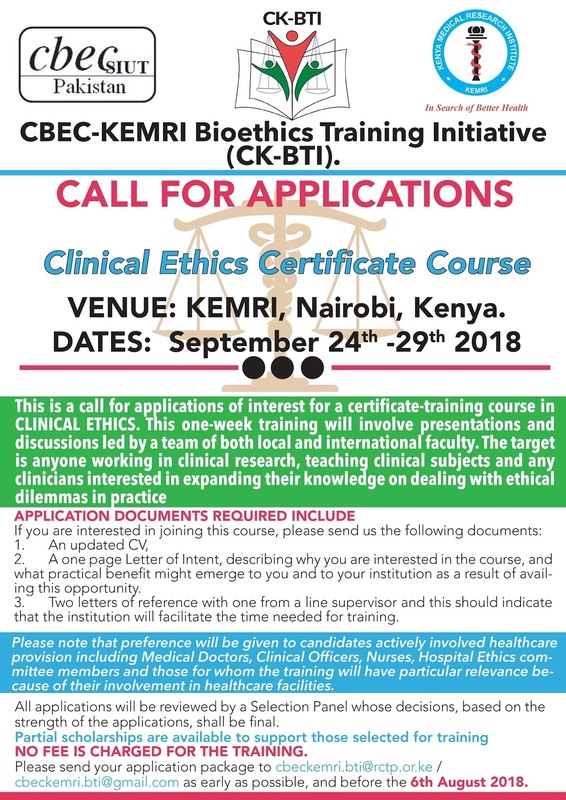 CBEC-KEMRI Bioethics Training Initiative (CK-BTI). institution as a result of availing this opportunity. 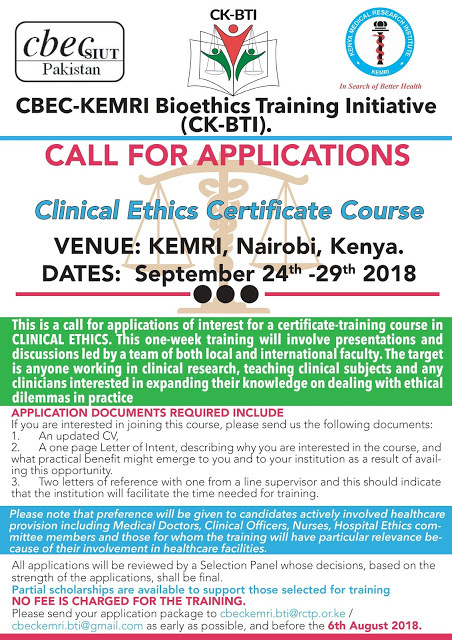 members and those for whom the training will have particular relevance because of their involvement in healthcare facilities. based on the strength of the applications, shall be final.